DESCRIPTION Welcome to 2525 Catalina BV N.E located in a prime location close to many amenities- Schools, Shopping, playground, and transportation. 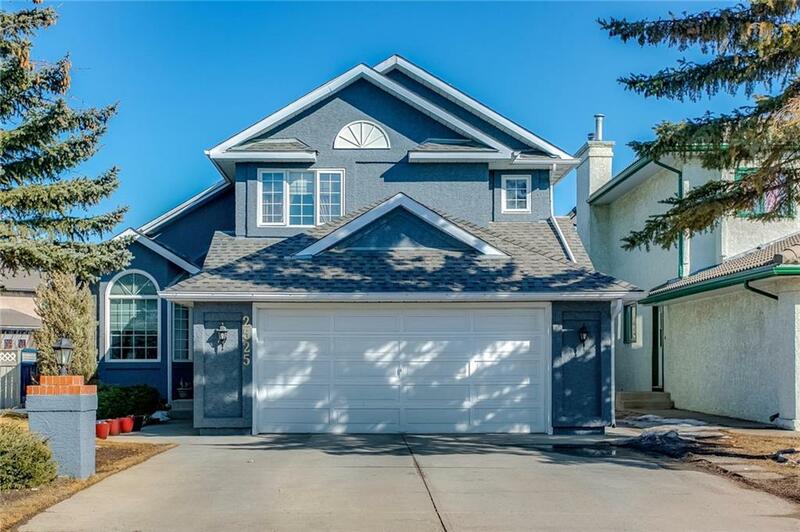 Within the last year, the seller has got the stucco freshly painted and brand new shingles. The main floor features a living room with vaulted ceiling, dining room, kitchen with many cabinets to satisfy your needs and granite countertops, huge family room! Upstairs features three spacious bedrooms. Master bedroom features 4 pc ensuite with a jetted tub and 2 separate big closets for husband and wife. Fully Finished basement with a huge family room great for your entertainment needs and wet bar to entertain your guests with cocktails. One spacious bedroom and 3 pc bathroom. Huge backyard that backs onto green space and back alley. Looking for a home with RV parking? This home features a cement pad in the back and storage shed. Enjoy your Summer bbq's on the huge deck. Don't let this immaculate home pass by call now for a private showing.